First we get the undisguised spy shots, then we get the power specs, now we get the whole enchilada. 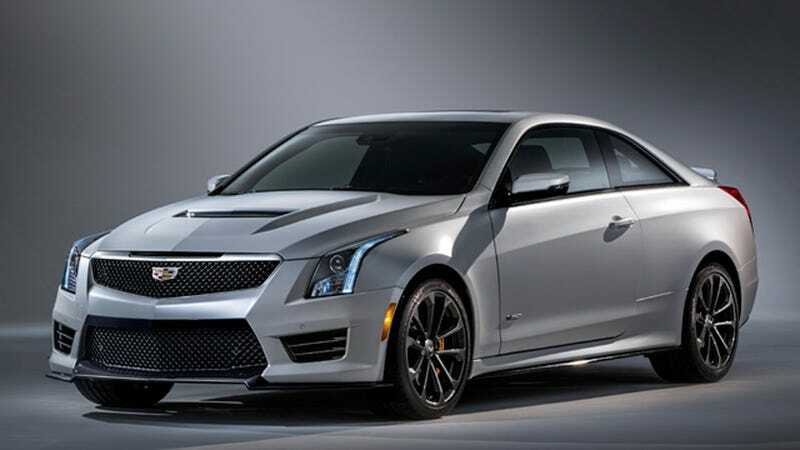 World, meet the 2016 Cadillac ATS-V. All of it. These are the first official (and admittedly low-res at the moment) shots of Cadillac's BMW M3/M4 fighter straight from General Motors themselves. It looks pretty nasty. It's full of luxury amenities that say "I can run with the best of Europe" but with a big ol' hood that says "I'm from Detroit and I will fight you in a parking lot." Once again, in case you missed it: 450 horsepower from a twin-turbo 3.6-liter V6, rear-wheel drive, six-speed manual or eight-speed paddle shift auto. Can't wait to see it in person at the LA Auto Show next week.